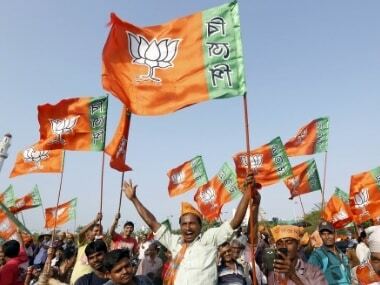 It is possible to read the Bharatiya Janata Party’s defeat at the hands of Rashtriya Lok Dal in the bypolls to the Kairana Lok Sabha constituency in several ways. It demonstrates that vanquishing the united Opposition is a gargantuan task for the BJP. It also testifies to Modi’s magic waning, to his slogan of development ringing hollow, and to the consequence of not clearing the dues that sugar mills owe to farmers in the western Uttar Pradesh. Above all, Kairana underscores the perils of stoking expectations and spinning dreams that are impossible to realise. Yet, none of these factors are as important as a large section of Kairana’s voters uniting to counter the phenomenon of everyday communalism, a term which academicians Sudha Pai and Sajjan Kumar have coined to explain the ease with which the BJP turns every election into a Hindu-Muslim contest and wins. 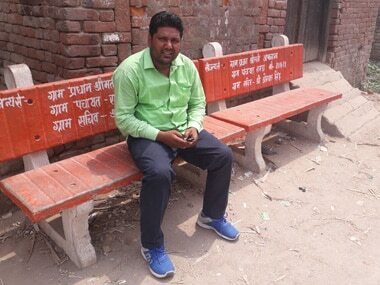 Kairana has, however, shown Jats and Muslims — despite being pitted against each other after the 2013 Muzaffarnagar riots — sinking their differences to overcome the severe socio-economic implications that everyday communalism spawns. This phenomenon involves, write Pai and Kumar in Everyday Communalism: Riots in Contemporary Uttar Pradesh, recruitment of local leaders for "using small, mundane but provocative local incidents to gradually create animosity and social jealousies between Hindus and Muslims who have lived together for a long time". These issues could be as insignificant as a road accident, a game of cricket, a drainage pipe of one house leaking into the premises of another. The aim behind framing every minor issue as a Hindu-Muslim problem is to “create a permanent anti-Muslim social prejudice and make it acceptable in the popular discourse,” argue Pai and Kumar. They say the sites of everyday communalism are often places experiencing economic distress or are undergoing a rapid social change which their residents are unable to tackle. It renders easy the task of turning Muslims and Hindus against each other, locked as they are in economic relationships. For their book, Pai and Kumar studied the riots that rocked Mau in 2005, Gorakhpur in 2007, and the Muzaffarnagar-Shamli belt in 2013. Before the violence erupted in each of these four places, a series of minor issues were either crafted or given a religious colour to drive a wedge between the religious communities. The authors contend that the BJP consciously opted for the strategy of everyday communalism after the National Democratic Alliance failed to return to power in 2004 on the plank of Incredible India, a codeword for the country’s rapid transformation that then prime minister Atal Bihari Vajpayee was supposed to have brought about. 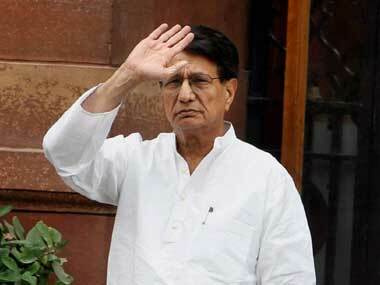 Worse, the BJP came a distant third in both the 2007 and 2012 Assembly elections in Uttar Pradesh. Everyday communalism, Pai and Kumar argue, was also designed to bring the backward castes into the saffron tent and subalternise Hindutva. Yogi Adityanath in eastern Uttar Pradesh and Umesh Malik, Sanjeev Baliyan and Hukum Singh in western Uttar Pradesh, the authors say, spearheaded the crusade of non-Brahminical Hindutva. Before the grisly riots rocked the Muzaffarnagar-Shamli belt in August-September 2013, a clutch of petty issues was ingeniously turned to pit Hindus against Muslims. Take what happened in March 2013 in Buchakheri village, Kairana, which falls in Shamli district. There the wood stored for the Holi bonfire was set ablaze by no one knows who. Blaming the Muslims for it, Buchakheri’s Gujjars attacked a mosque, prompting police to open fire. Then BJP MLAs Hukum Singh and Suresh Rana descended on the village and linked the firing to Shamli then having a Muslim superintendent of police. A minor issue was given a communal turn and then escalated to become an election campaign issue. It was in Kairana that BJP leader Amit Shah told 400 Jats in a private meeting before the 2014 Lok Sabha elections that they must vote for Narendra Modi’s party to “avenge their humiliation of 2013 (violence)." Shah’s speech was made to go viral through social media and helped the party and its ally, Apna Dal, to bag 73 out of 80 Lok Sabha seats in 2014. But it was not just about winning the 2014 Lok Sabha elections. Once ensconced in power, the BJP and its affiliates resorted to everyday communalism by raising issues like cow-slaughter, inter-faith gender intermingling, religious conversions, and the alleged exodus of Hindus from Kairana. Their goal behind triggering a series of tightly controlled low-intensity conflict is to redefine the Hindu-Muslim relationship — with every incident a new normal is created and terms of co-existence renegotiated. "The aim is clearly political and cultural — to create a Hindu nation in which the Muslims would have to conform to the majority culture, values, and ideas; in short, a majoritarian democracy based on religion," write Pai and Kumar. However, Kairana’s result establishes the diminishing returns of everyday communalism and non-Brahminical Hindutva. This is largely because such a brand of communalism has had an adverse economic impact in the region, particularly as the relationship between Jats and Muslims had been one of interdependence and amity until three decades ago. They were part of the social alliance of MAJGAR (Muslims, Ahirs, Jats, Gujjars, and Rajputs) that peasant leader and former prime minister Charan Singh had crafted as a counterpoise to the Congress. This social alliance was strained because of the VP Singh government’s decision to grant reservation to the Other Backward Classes. Not included in the reservation pool, a section of Jats turned to the BJP that sought to unite Hindus through the Ram Janmabhoomi movement. BJP was also the party that was philosophically opposed to reservation, and surreptitiously fanned the anti-Mandal movement in 1990. But the bruising politics of the 1990s did not irreparably damage the Jat-Muslim relationship. Muslims constituted the agriculture labour that Jat landowners hired. They were also the local handymen who repaired agriculture implements. In addition, Hindu Jats and Muley (Muslim) Jats, who too owned land, shared common traditions and customs. The Jat-Muslim relationship broke down because of the 2013 riots. Everyday communalism did not provide respite and a breathing space to rebuild the Jat-Muslim relationship. Muslims would not go to work in Jat villages, scared that they might be attacked. It raised the cost of production for landowners. The Muslim handyman was also not readily available to repair farming tools. As for Muslims, the fear of working in Jat villages implied unemployment and drying up of a cheap source of loans — Jat landowners often advanced money to Muslims who engaged in petty trade. Pragmatism consequently became a driver for bridging the chasm that everyday communalism had created. It sparked off a movement to break the chain of action-reaction triggered by the 2013 riots — it involved Muslims withdrawing cases against the Jats accused of rioting, and Jats monetarily compensating them. There were standouts on both sides, not least because of the inherent trauma involved in trading the death of a loved one for the money. Yet the movement did gather momentum, evident from Uttar Pradesh chief minister Adityanath ordering police to withdraw cases against BJP leaders (all Hindus), who were accused in the 2013 riots cases. His underlying motive was to provoke Muslims into withdrawing from the rapprochement being worked out by civil society groups with the blessing of political parties. Though they loathe admitting publicly, the RLD and the Samajwadi Party did nudge the rapprochement process. It created the ambience for RLD leader Ajit Singh and Jayant Chaudhary — son and grandson of Charan Singh, respectively — to wean away the Jats from the BJP. Chaudhary has been working hard in western Uttar Pradesh, pointing to the Jats that the BJP has not addressed the agrarian distress they had been reeling under. The ruling party has neither provided them reservation nor created jobs. He also pointed how the everyday communalism was harming their farming interests. More significantly, non-Brahminical Hindutva has not given political mobility to Jats in the BJP, a party fundamentally upper caste in its orientation. It just isn’t possible for the BJP to satisfy such a large medley of social groups that it welded together in 2014 and 2017. The Jats were eager to return to the RLD. But to become a winner, the RLD needed Muslims to support it, as they once when Charan Singh was at the helm of the party. It was precisely why the RLD chose to field a Muslim candidate, Tabassum Hasan, in Kairana. 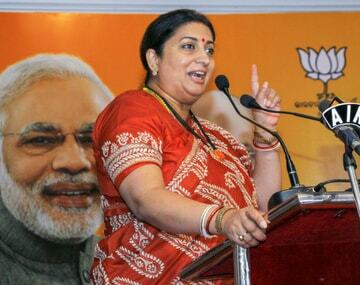 She had been elected to the Lok Sabha on the Bahujan Samaj Party ticket in 2009. 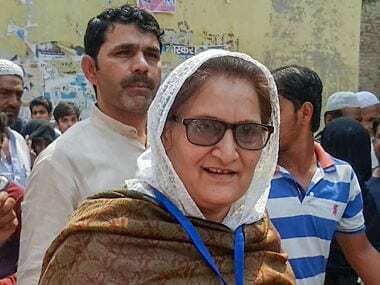 Her son, Nahid, is a Samajwadi Party MLA from Kairana. Obviously, the RLD’s task of winning over Muslims was made easy because there were no other contenders to the community’s votes. Yet Kairana marks a substantial pushback against everyday communalism. This is because the Jats, portrayed as the sword-arm of Hindutva, have voted with Muslims for a Muslim candidate. It is possible that both Jats and Muslims perceive each other as rivals, even mortal enemies. But political mobilisation through a deft building of social alliance does help heal festering wounds — for instance, Yadavs used to be in the forefront of rioting against Muslims in Bihar until Lalu Prasad Yadav brought them together. Thereafter, the Yadavs became, to a great degree, the protectors of the Muslims. From this perspective then, Kairana shows that everyday communalism has started yielding diminishing returns, the salience of its strategy further reduced because of the high index of Opposition unity.